A Palo Seco presents Flamenco school performances to students of all ages as part of its Arts Education program, featuring dance and music in a vibrant and entertaining production full of color, rhythms, and emotions. Lecture Demonstrations and Master Classes as well as continuing Flamenco dance classes are also offered. 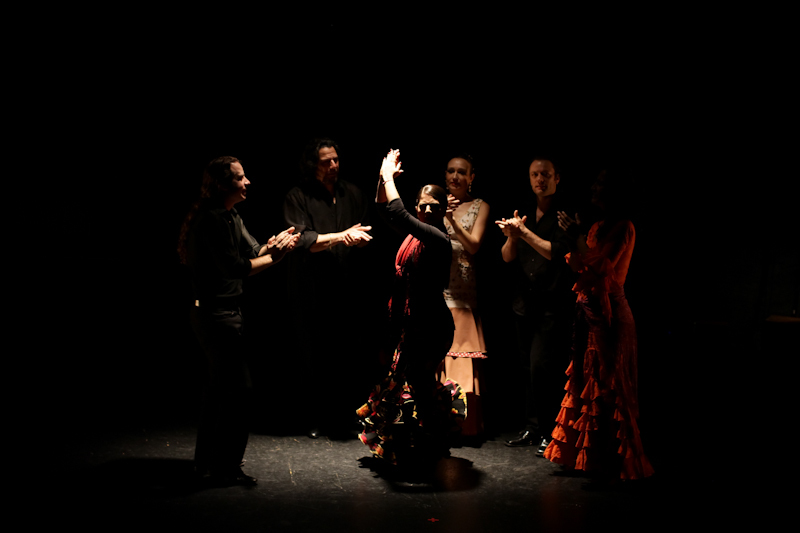 (Tailored to audiences of all ages) The Lecture Demonstration is an interactive way of combining a straightforward Performance, hands-on workshop, and informative explanation about the culture and history of Flamenco. In between lively performance numbers, audience members get hands-on experience with playing las castañuelas (castanetts), las palmas (rhythmic hand-clapping), and they even learn to dance a bit of Flamenco themselves! (For all ages) These individual or back-to-back workshops focus on the basics of Flamenco dance, including body positions, zapateo (footwork), and palmas (rhythmic hand-clapping), as well as giving participants an overview of the culture and history of the Spanish art. The workshop culminates with a full dance combination that students can perform on their own. 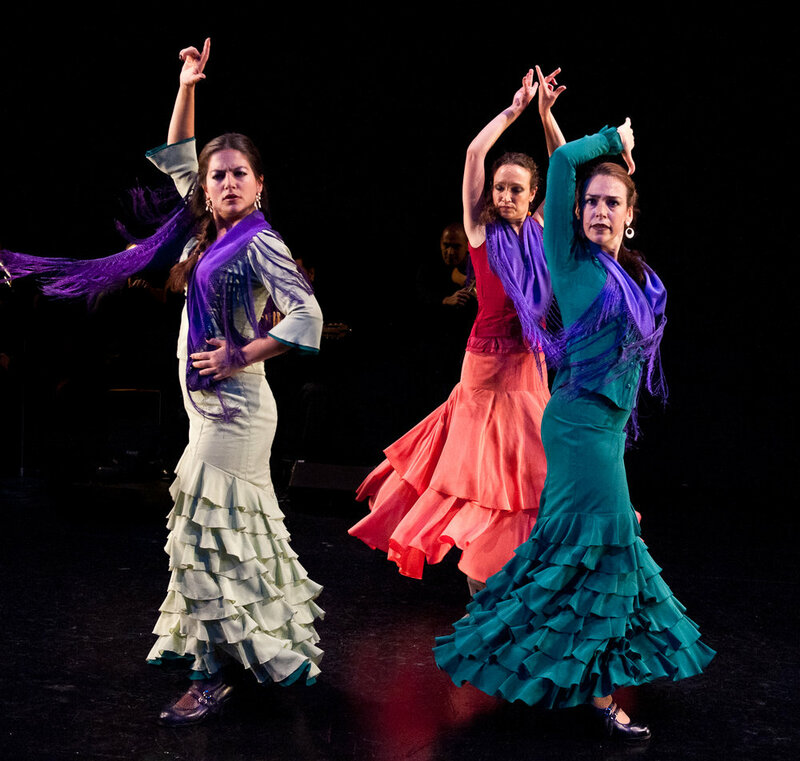 A Palo Seco presents Flamenco school performances to students of all ages, featuring dance and music in a vibrant and entertaining production full of color, rhythms, and emotions. Explanations and questions are intermixed with high-energy performance pieces and audience participation. Students learn to play palmas (rhythmic hand clapping) and castanetts, and are invited to join the artists on stage to do a short dance number at the end.